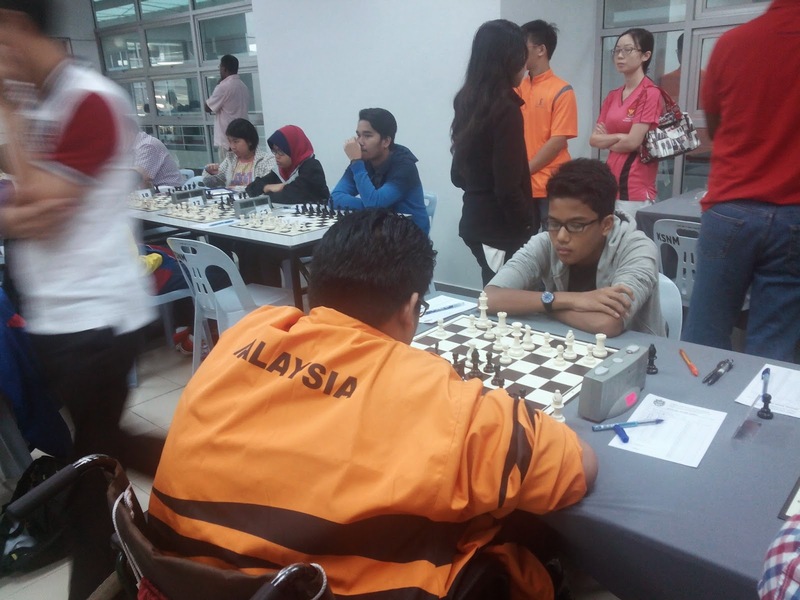 The two GiLoCatur's boys - Fikri and Fahim, are taking part in the 42nd edition of the Selangor Chess Open. Fikri has played in three previous editions - 2008, 2009 amd 2010 and this year edition is his fourth. While his younger brother, Fahim, plays for the first time in the Selangor Open. So how their performance thus far? With starting rank at 38th, Fikri has accumulated 4/7 points. He is ranked 30th at the moment. Fahim has collected half point less than his elder brother. He is among 3.5/7 pointers. Entering 8th round, Fahim is at 38th place, the third highest 3.5 pointers. Fikri started his Selangor Open campaign on winning note defeated 1200-rated opponent playing black. Then he could not overcome the latest Malaysian chess prodigy, Lye Lik Zang in the second round. Fikri came back with a win on his third round against lower rated opponent. His fourth round opponent was his former MSSKL team mate, Shreyes. He managed to draw. In the fifth round, he won against this year MSSS Under 15 Boys champion, playing white. Fikri's 6th round opponent is his highest rated opponents thus far. 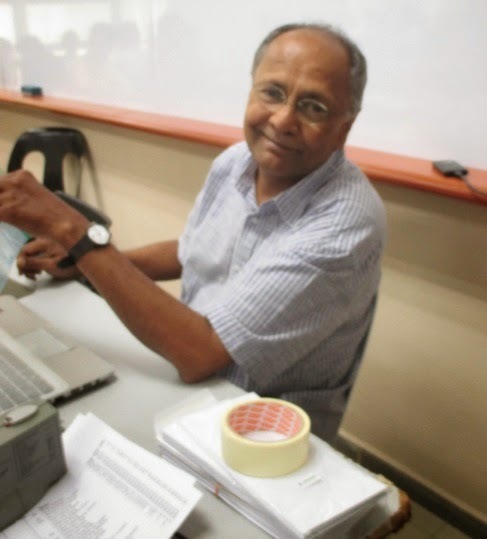 He managed to draw with former Malaysian National Master. In the afternoon game yesterday, he could continue his winning against 2000 plus rated players. His opponent has recently gotten the Fide Master title. Currently in the 8th round, Fikri is facing Mohd Ezmi who is famous with Grob Attack. Both Fikri and Ezmi are 1700-rated players. Like his elder brother, Fahim also started his campaign in the Selangor Open with a winning note against 1100-rated player. In the following round, he managed to draw with more than 300 ratings higher opponent. He continued to play well when managed to win against one of Malaysian WFMs who is also rated in the 1800 range. Unfortunately, the next two rounds Fahim could not continue his excellent performance. The two opponents who stop Fahim are the in-form Nor Ilhamuddin and Iranian Nader Haji Ghanbari (hopefully the name is right). Fahim got another point in the sixth round. Another 1800-rated opponent is too much to handle for Fahim in the seventh round. In the eight round, Fahim plays against 1400-rated player. Hopefully, GiLoCatur's boys can manage to get good win for today's games. All the best to both Fikri and Fahim. 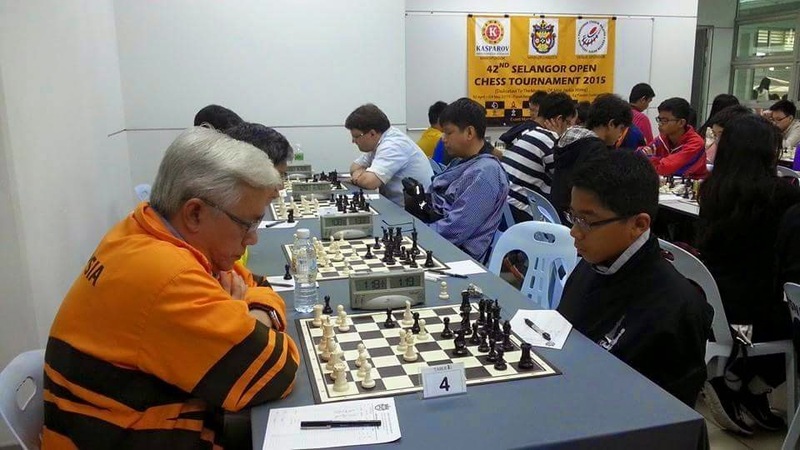 The 42nd Selangor Chess Open is in its 8th round. It is currently being held at Kompleks Belia & Sukan Kampung Pandan. So, who is the current leader after Round 7? Filipino IM, Rolando Nolte, is leading the tournament with 6.5/7 points. In the sixth round he drew with IM Mas Hafizulhelmi of Malaysia who is at the second place with 6/7 points. Four players share 5.5/7 points. Li Tian, the second seed, who just got his FM titleship recently is at the the third place. Yesterday, in the 6th round, Li Tian overcame the challenge from Nor Ilhamuddin Shaik Ali. Of the six Malaysian players who are in the Top 10 list below, three of them are teenagers below 17 years old. They are Li Tian, Amir Ghaazi and Lik Zang. 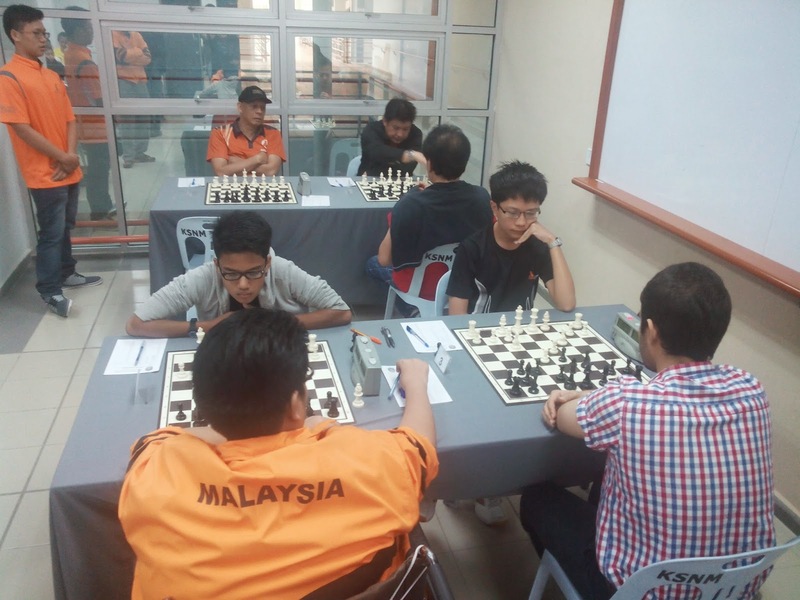 GiLoCatur hopes all of them will progress further and represent Malaysia in the Chess Olympiad. The final 9th round will be played one hour earlier today, which is at 2 o'clock. It is going to be a challenge indeed for all the participants for having just one hour rest especially for those who complete their game at one o'clock.